MKFN organised the first ever Milton Keynes 48 Hour Film Challenge in November 2015. This competitive filmmaking challenge enabled teams of filmmakers to come together to create short films from scratch in just 48 hours. We had 7 teams take part who produced some memorable films over the weekend. On Saturday 28th November we held the Screening & Awards evening where all 7 films were screened and the winning films were announced. winning teams were presented with their awards by Tim Searle. To see the photographic gallery of the awards evening take a look here. To see all of the films made as part of our film challenge, check out our YouTube Channel here. We look forward to running another Film Challenge next year - so what this space for announcements ! Tim Searle who will also be handing out awards to the winning filmmakers. Tim is the Creative Director of Animation and Childrens at Tiger Aspect and is currently Series Director of the second series of the animated Mr Bean, a 52 x 11 min series for CITV. Tim has worked in animation for 25 years. He set up Triffic Films within months of leaving West Surrey College of Art & Design. Tim quickly found himself producing animation and graphics for a wide range of broadcast comedy shows including: Absolutely, Have I Got News For You, Father Ted, Harry Enfield’s Television Programme, Paramount City, Murder Most Horrid, Two Fat Ladies, Fist of Fun, The Catherine Tate Show and many others. Triffic moved into narrative comedy in 1999 with: The Outlaw for C4. In 2001 Tim helped create 2DTV, directing five series of the successful topical series for ITV, he also founded Baby Cow Animation in that year with Steve Coogan and Henry Normal. Credits include: I am not an Animal, Horrible Histories, Alan Partridge (BBC), Dara O’Briain’s School of Hard Sums (Dave), Man Down (C4), The Cow that Almost Missed Christmas (CBeebies), Uncle Wormsley’s Christmas (Sky Arts) and Warren United (ITV). 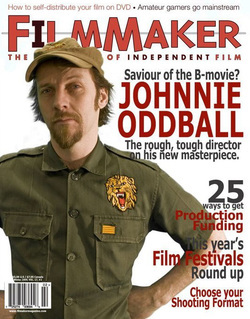 Johnnie Oddball is a producer and actor, known for When London Sleeps It Came Alive (2010), The Dark Hunter (2003) and Cosplayers UK: The Movie (2011). Architect and Urban Designer and Film Producer ( well just the once really)…life-long film and cinema fan , ‘ going to the pictures’ 5 times a week as a kid in living in Norwich in a house with out a tele. Chair of ICMK. Trying to bring independent film to Milton Keynes, which in my view is the only thing we don’t have. 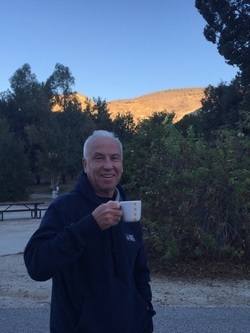 An award winning Filmmaker, producer on forthcoming feature film "The Shrieking Horror". Davin also produces corporate videos for international brands. and all round promoter of film and creativity. The judging panel is also joined by URSULA WHITE (Director ICMK) and SIMON WIGHT (MK Gallery).